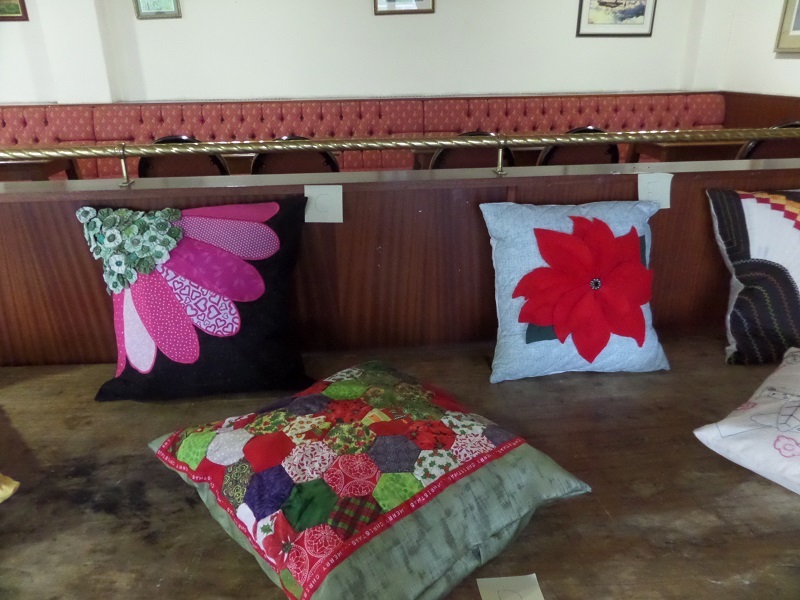 Lilian writes: This month we had our secret Christmas Cushion competion. Each cushion was enclosed in a black bag and then displayed for the group to vote on which they liked the best. It wasn't an easy task, as usual the workmanship was outstanding making the first and second prize choice really difficult. After the vote was counted Joan won the first prize and Brenda the second, but I think everyone was a winner. If you wish to join us, our next meeting is the 24th January 2019. We need you for our class. Please come and have a bash. All on a learning course. And give this group a try. And your talent you can apply.